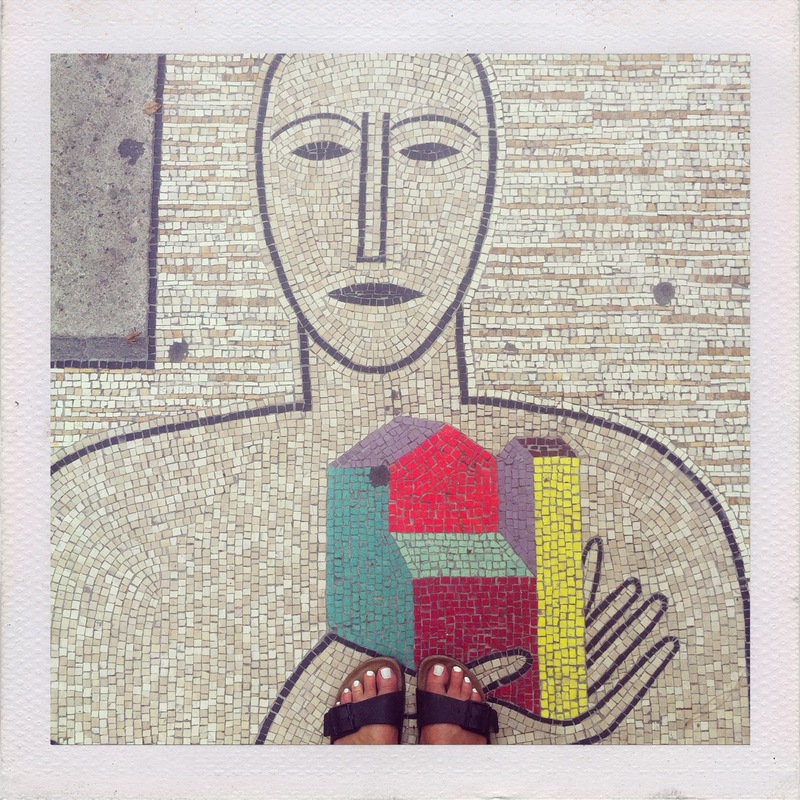 Welcome to the second instalment in my Italian tile extravaganza! 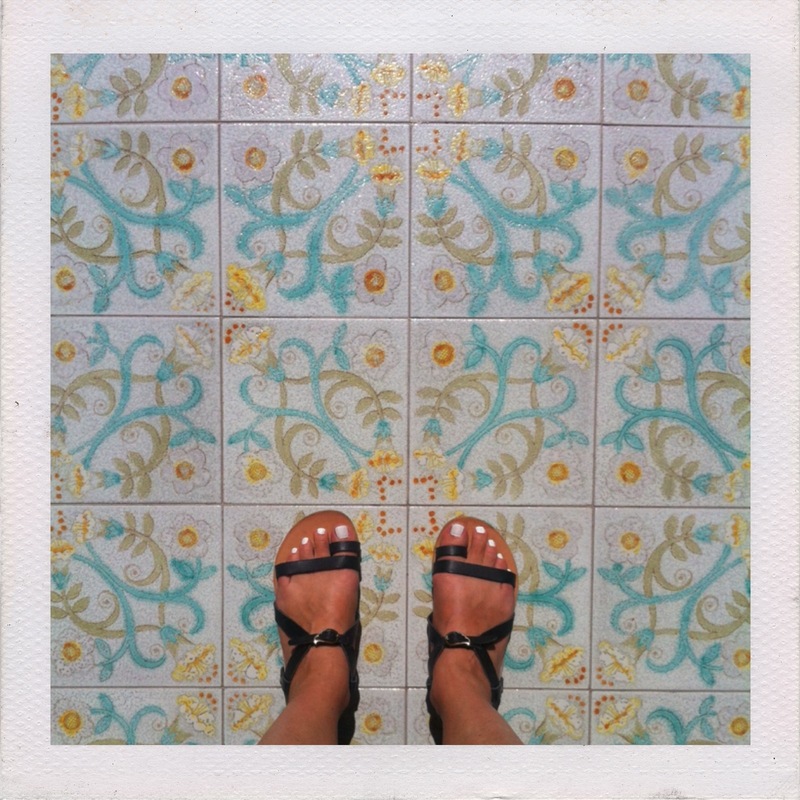 I was delighted when we (eventually) ventured out of our amazing hotel in Sorrento to find that there are tiles literally EVERYWHERE. 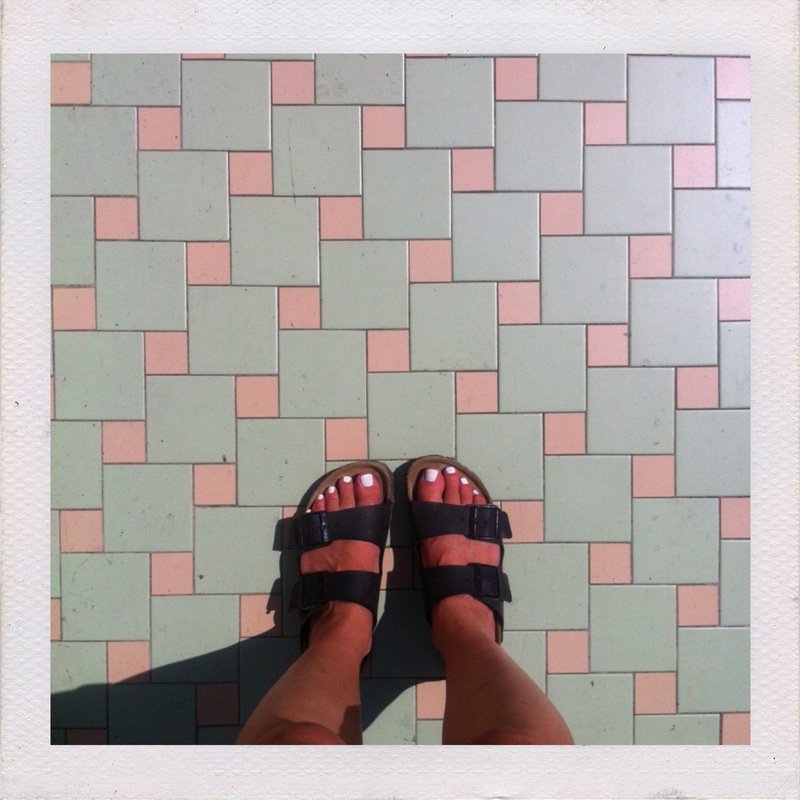 In this corner of Italy, nowhere is too “normal” for a beautiful floor, even the pavement outside a bog-standard supermarket. It’s a wonder I ever looked up to see the stunning scenery (I did though, obvs!). Anyway, after Sorrento we moved on to Positano, a delightful town perched on the cliffs. You wouldn’t want to visit this place in heels, that’s for sure, as it’s impossible to get anywhere without walking up or down steep steps. Our apartment (above) was only accessible by walking up around 70 steps (lucky we’re relatively fit!) 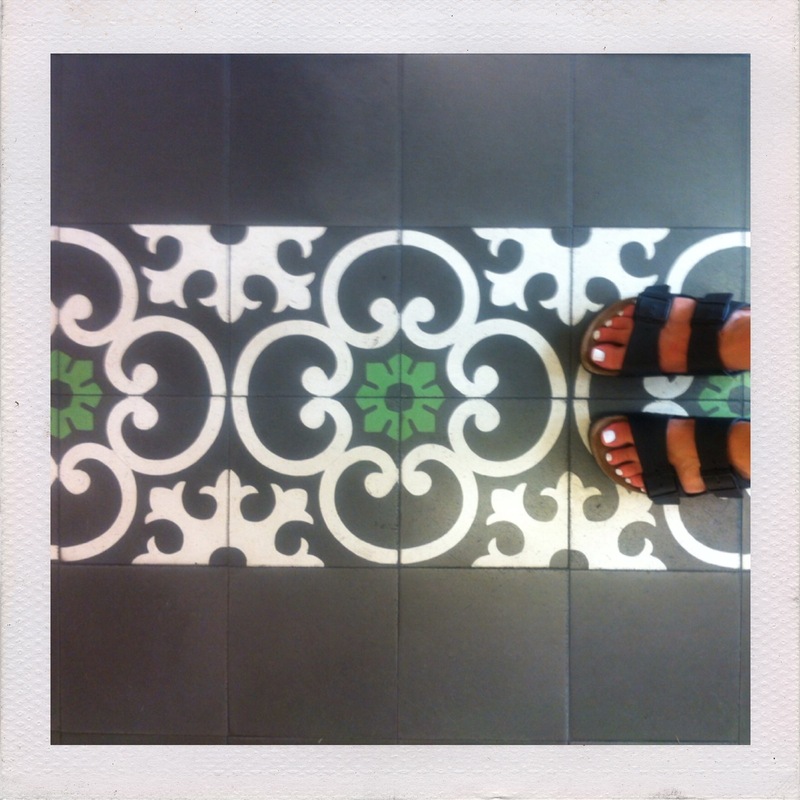 had kitsch hand-painted tiles on the floor. 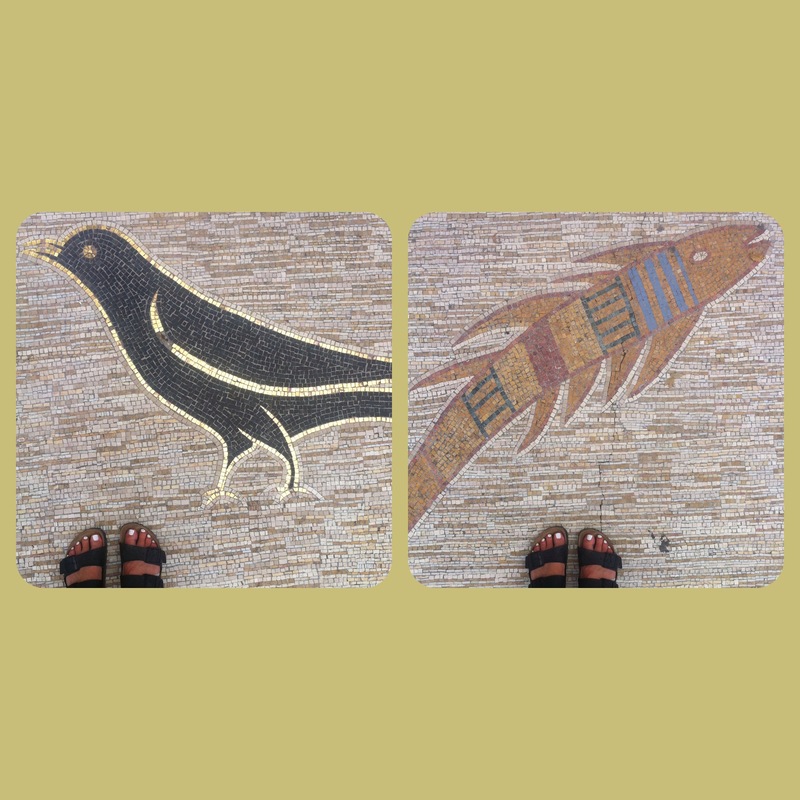 The square outside the cathedral in Positano features a number of quirky mosaics. Not 100% sure what they mean but they’re pretty cool! 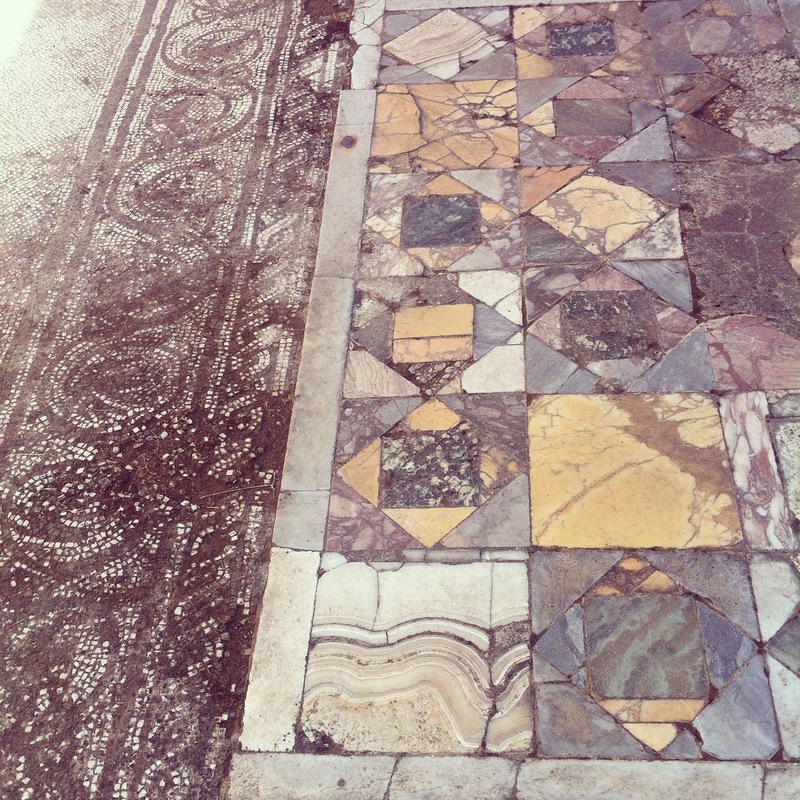 We also visited Pompeii, which was AMAZING. 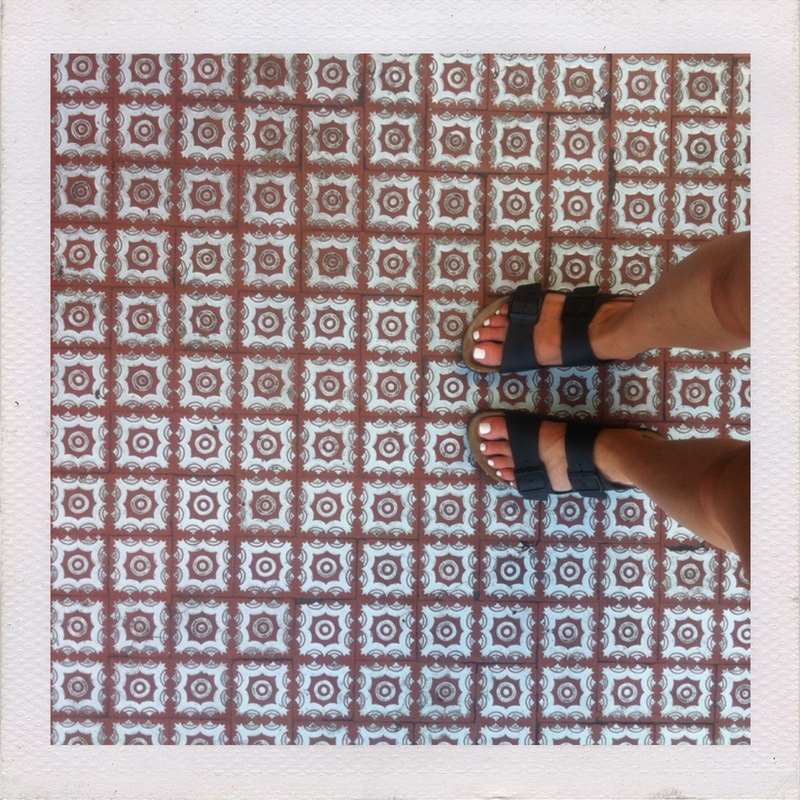 I couldn’t believe the condition some of the tiles were in – obviously you’re not actually allowed to stand on these ancient relics, but how beautiful?